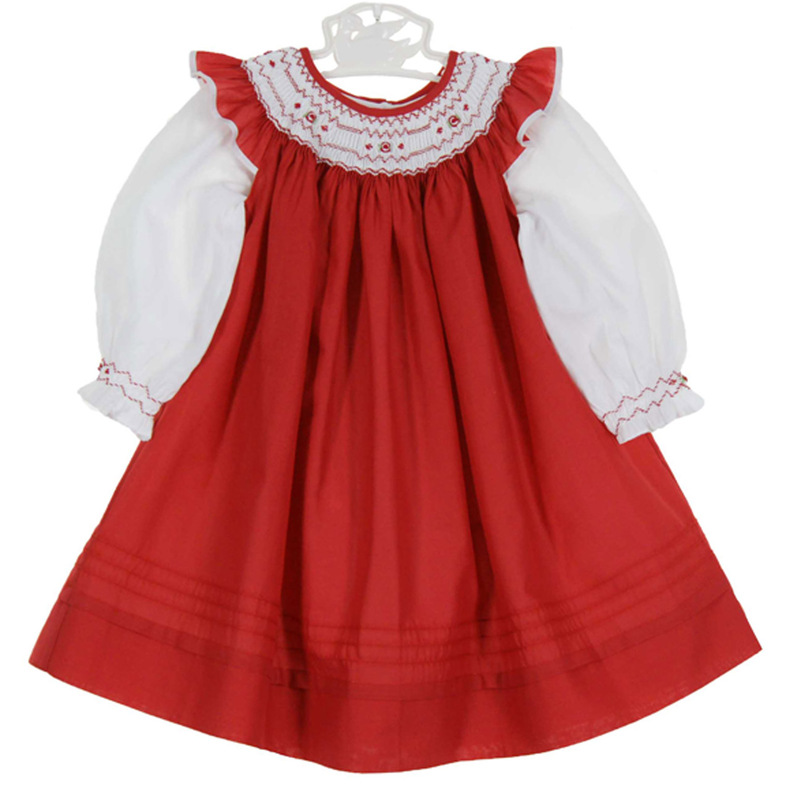 This beautiful little red cotton bishop smocked pinafore dress is made by Will'beth, a leading designer of beautifully detailed children's clothing for more than 30 years. 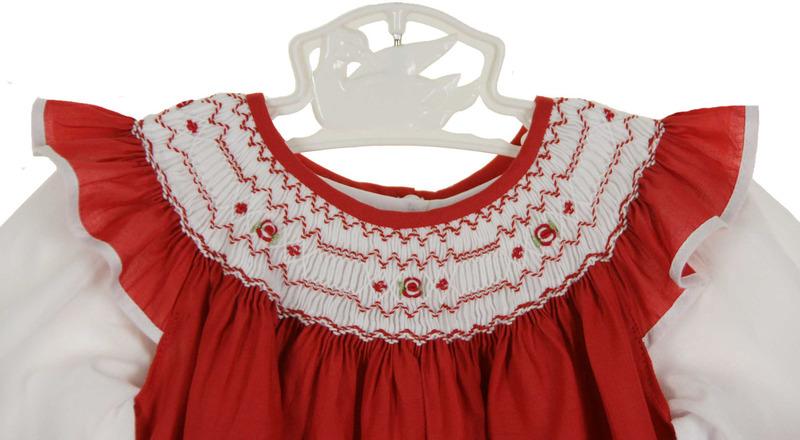 It features a hand smocked bishop style bodice delicately embroidered in a lovely red and white pattern. This sweet red dress has a simple round neckline and pinafore sleeve ruffles. The hem is detailed with pintucks and in typical bishop style, this dress is worn quite long. A separate long sleeved sheer white slip dress with smocked sleeve ruffles can be worn with a white slip as a darling dress or nightgown. The dress closes in the back with two small buttons. Note: Similar Will'Beth pinafore dresses are also available in limited sizes. See below.